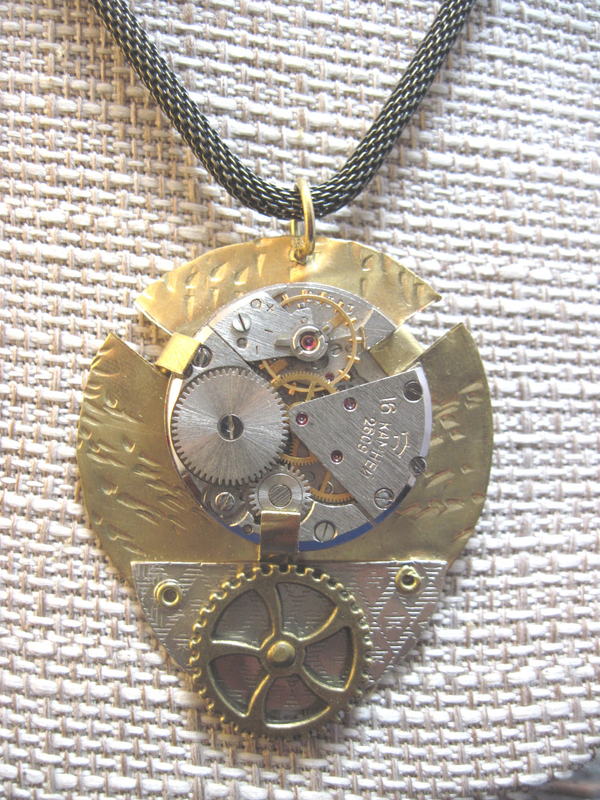 A jeweled watchwork with moving gears has been cold connected to textured brass. 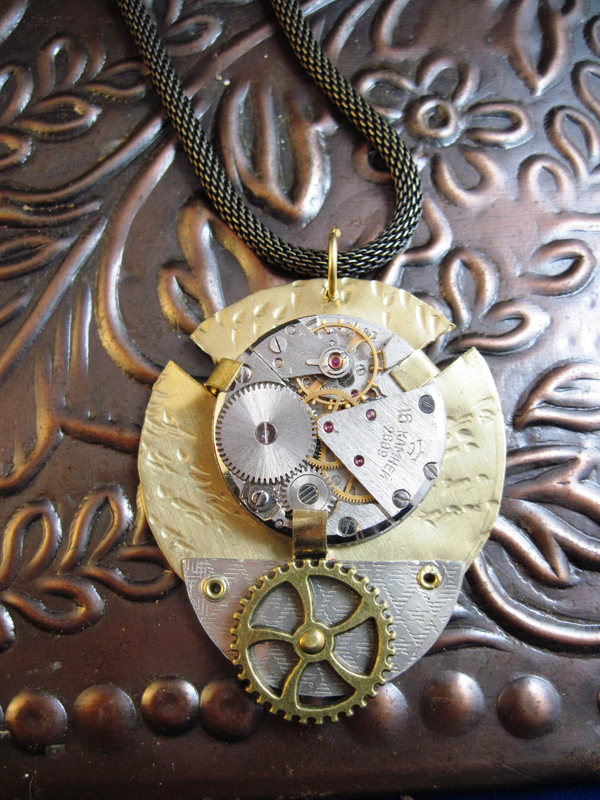 Textured German silver piece adorned with a gear sits below the watch work. 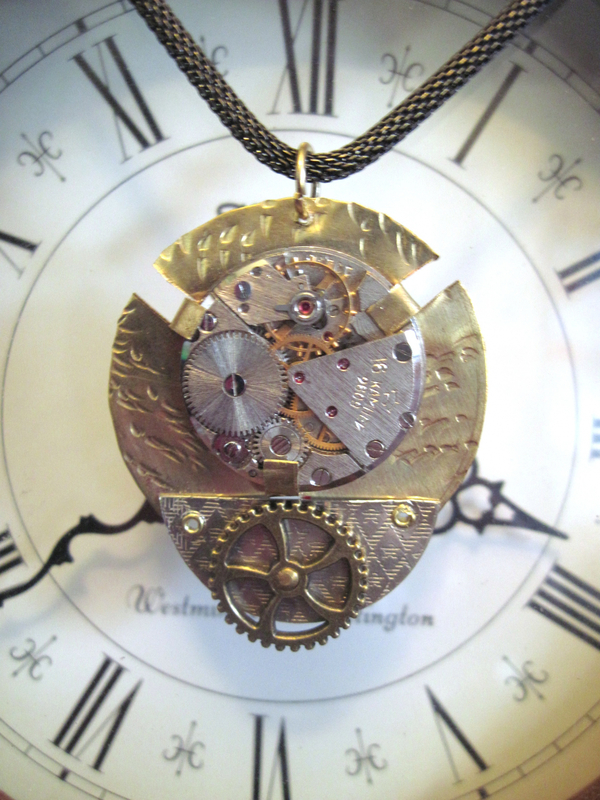 Unlike some of my other watchwork pendants, I decided to go minimalist on the charms and let the watchwork be the focal point. 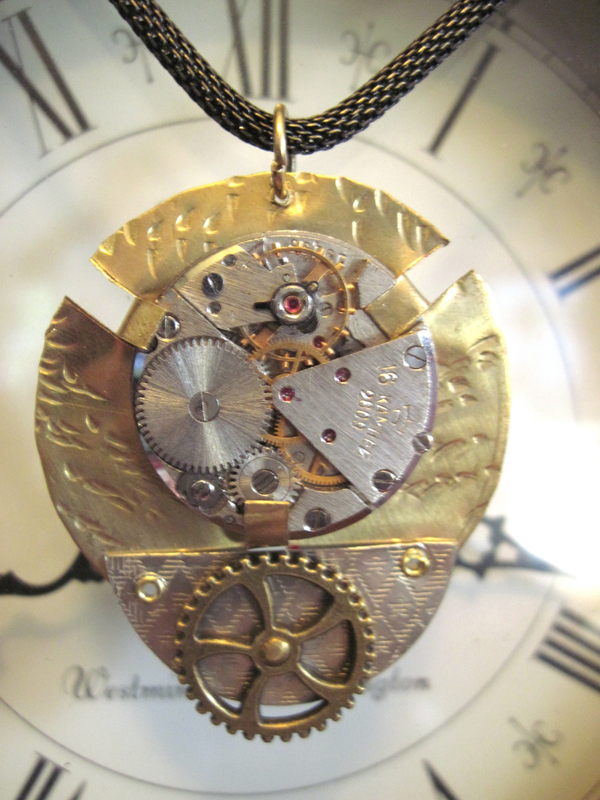 The pendant is one and three fourths inches wide and the watchpiece is about an inch in diameter. 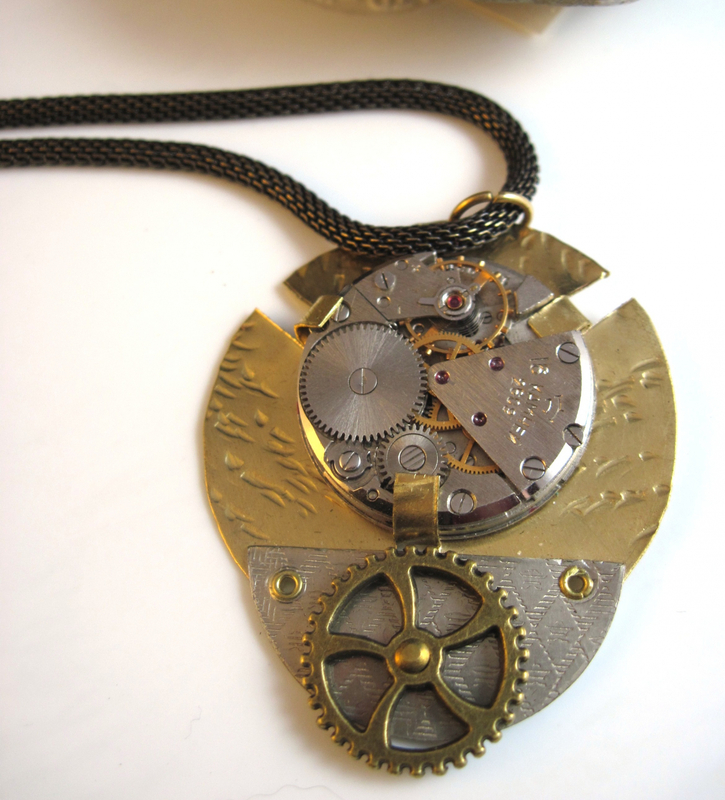 With the jumpring bail, the total length of the pendant is just over two inches. 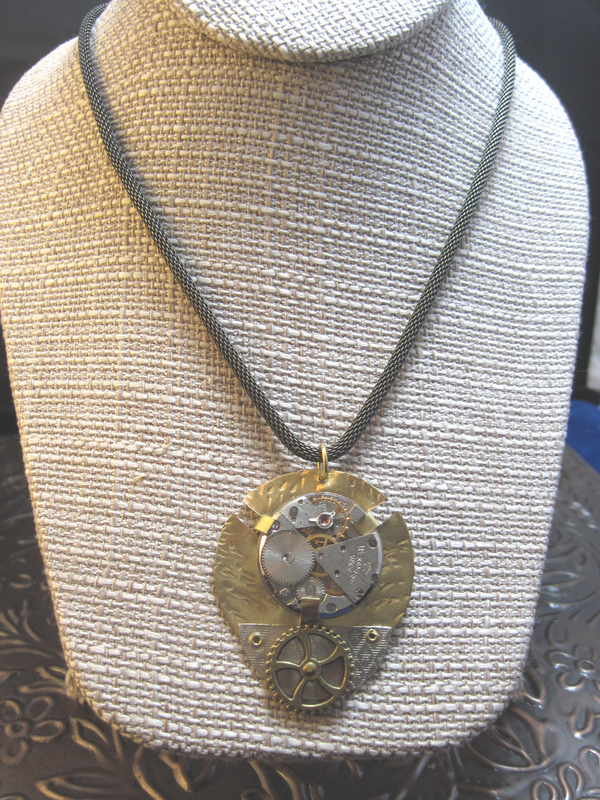 The chain is antiqued brass mesh and comes in two lengths. I can also change it out to a ball chain if you prefer something really long. You'll just need to let me know by messaging me at checkout.